Protect a pair of safety glasses or eye goggles from scratches and smudges by storing them in an old cotton sock. This will prove most effective if you store your glasses in a toolbox. 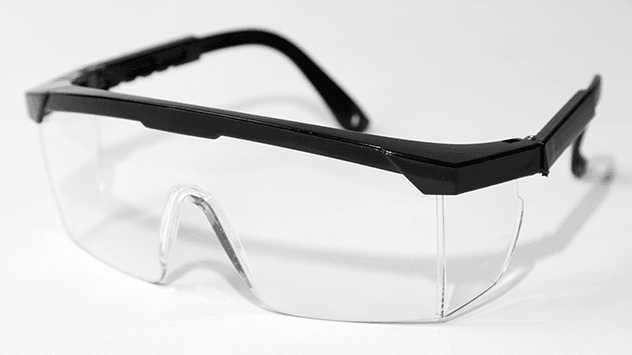 Also, outfit your safety glasses with an inexpensive nylon cord (sold in most hardware stores and home centers). The cord will allow you to hang the glasses from around your neck and keep you from losing them. But more importantly, they’ll always be close at hand so there will never be a reason not to use them.